PALAWAN, Philippines — If you're off to Coron, your entry point is through Busuanga. There's only one airport on the entire island and it's a 20-minute drive to Coron. 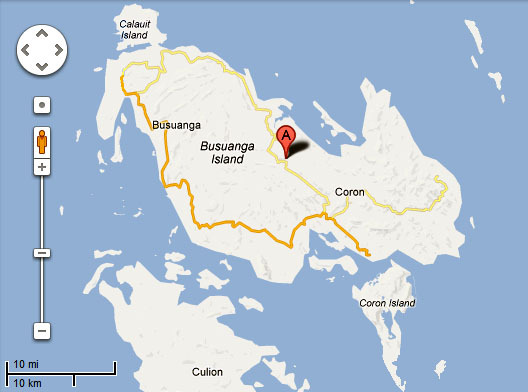 The Busuanga airport is in the middle of the island. It's a 20-minutes drive to/from the town of Coron. Most planes going here are pretty small. The trip from Manila is around an hour. It was a scary ride. Check-in luggage are brought in manually. It can get pretty chaotic trying to claim your luggage. Good thing I didn't have anything checked-in. The arrival card that everyone has to fill up. Best to have your own pen! No need to worry about not having a ride to Coron town. There are lots of vans waiting outside. Cost is around Php 150. This separates the departure and arrival areas. Before departure, luggage is manually checked by security guards. By the way, terminal fee here is only Php 20! Some people had to sit on the floor because there weren't any seats left. Lots and lots of cows! Did you know that the grass was imported from Australia?